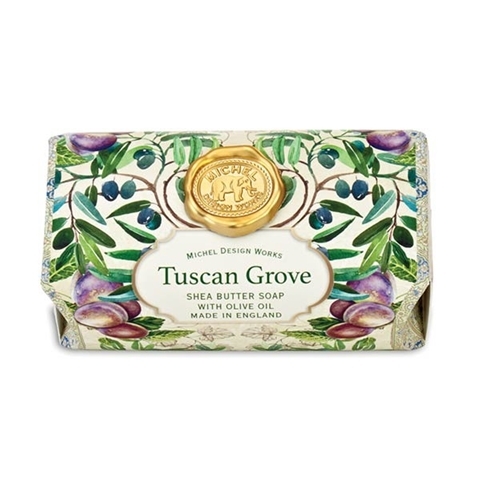 Michele Designs Shea Butter & Olive Oil Bar Soap. 8.7 oz. Artisanal soap hand make in England. Our triple-milled soap is made of pure vegetable palm oil and glycerin and is enriched with moisturizing shea butter & olive oil to provide a luxurious bath experience.